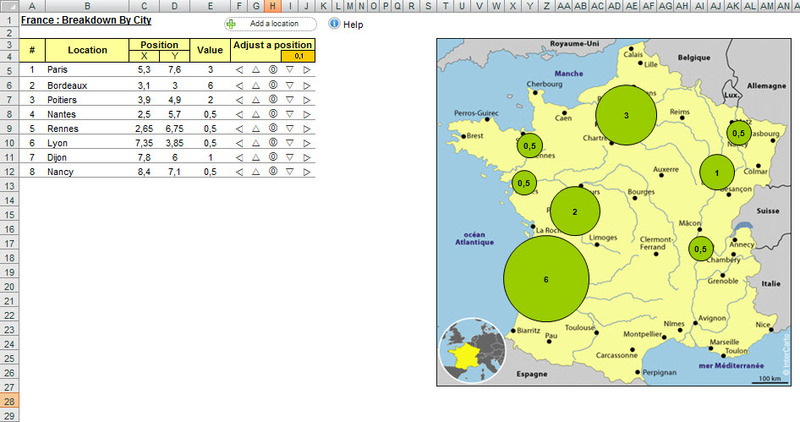 [Download] Map Chart With Excel : Visualize any data on any map ! This excel document is a template for a Map Chart. It has few Visual Basic macros and it is 100% spyware/maleware free. It is also user-friendly, totally flexible for any map and free for personal use.